You know I love paper tape. And everyone loves stickers. 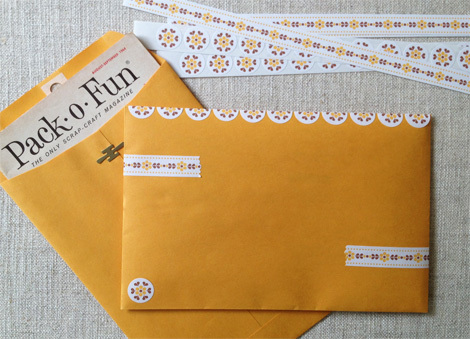 So, in partnership with WorldLabel.com I designed some “cheater” paper tape and coordinating sticker designs for making printing your own. There are four different design styles in several color combinations for both tape and stickers available to you as one free PDF file download. 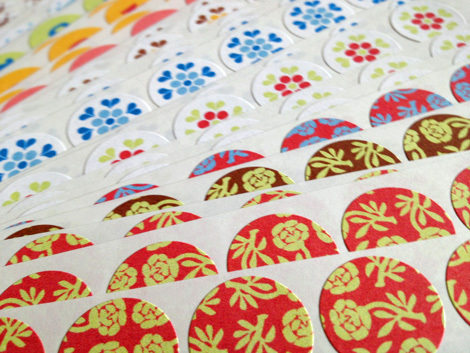 Print the tape designs to full sheet label stock and the sticker designs to 3/4″ round label sheets. The free tape and sticker file and corresponding label sheets are all available through WorldLabel.com. 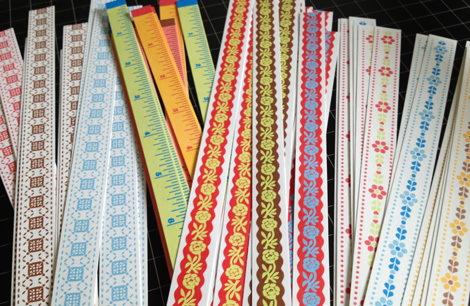 Once the tape graphics are printed, use a paper trimmer or Xacto knife and straight edge to cut the designs into strips. Keep the backing paper attached until ready to use, then simply fold back a small section of one corner to separate the backing from the adhesive paper. I like to trim my round label sheet into strips and peel away the outer area leaving the “stickers” only. 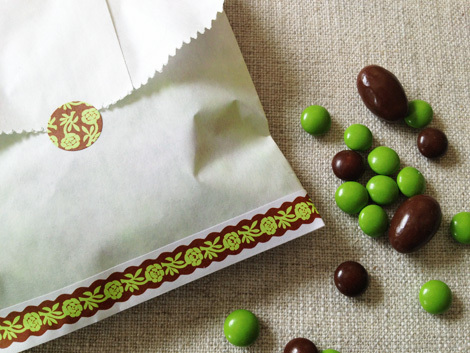 Make lots of extra to keep on hand for quickie gift-wrapping, dolling up letters and envelopes, taping notes up, decorating containers and a zillion other things I know you’ll think of! 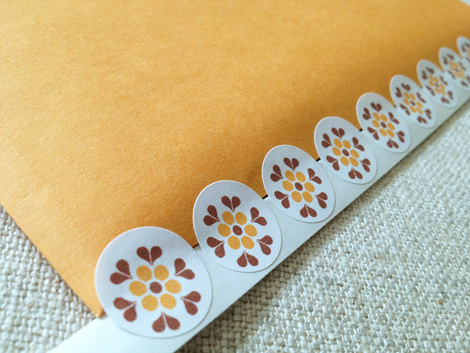 TIP: To create a scalloped design along the edge of something, fold back a long section of the backing on a row of stickers to the halfway point and press the adhesive exposed sections along a fold or edge. 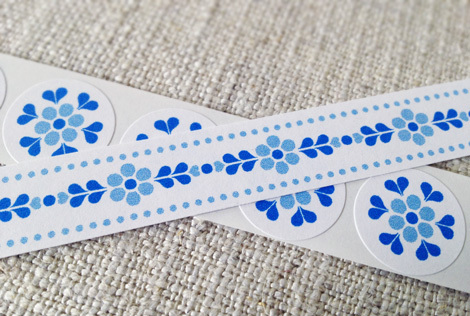 Remove the remaining backing and fold the other halves of the stickers over the edge. This entry was posted in food crafts, Free digital collage sheets, Free digital downloads, Free PDF files, Paper Tape, Printables, scrapbooking, Uncategorized, WorldLabel.com. Bookmark the permalink. 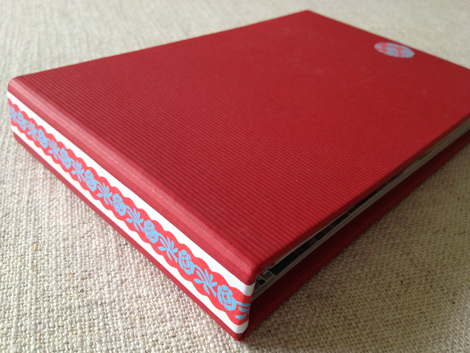 najwa, the tape and stickers are in the form of PDF files that are no charge to access from the WorldLabel.com blog. You print the file images to label stock (which you can purchase from WorldLabel.com) to create your own tape and stickers. Cute ideas. I like the coffee can best! you keep making me want to get a really great printer. these are so adorable and totally clever. xow. These are so neat. Can’t wait to print some. Thank you for sharing! Love! You are so creative and always have such charming and beautiful ideas. I love all your graphic genius Cathe! My daughter is also a graphic artist, but unfortunately she lives out of town. I wish someone would design some cute button cards, hint, hint! The measuring tape is my favourite, I will get lots of use out of this, thanks for sharing all your wonderful idea’s, hugs, Marilyn. 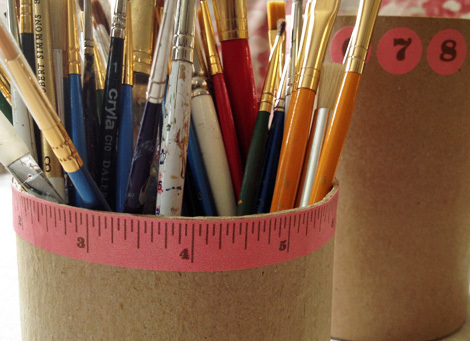 oooohhh – the measuring tape is super cute – love it! Cathe, thank you so very much. I have been looking for something exactly like this. You are so kind! I love these! you are so talented. Can I ask? 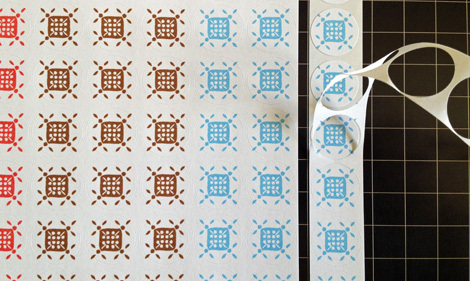 Which stickers did you use… matte? gloss? recycled? clear gloss? Ooooh so many choices LOL. These are adorable!! 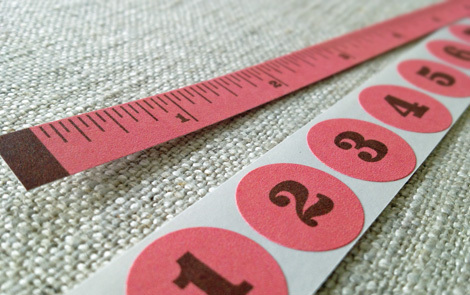 LOVE LOVE LOVE the measuring tape!!!!!!! So wonderful! Thanks for sharing it. Thank you so much! Just love them. This is so amazing! TQVM!